It is far from clear what constitutes a “conspicuous hyperlink” that would satisfy the test in this decision, but online business should stick with clickwrap agreements, rather than push the envelope with browsewraps. For a similar case that I wrote about in 2012, see Online Agreements – Easy To Get Right, Easy To Get Wrong. 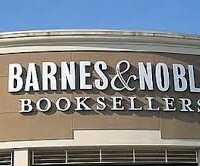 Nguyen v. Barnes & Noble (9th Cir. Aug. 18, 2014).